Bizagi supports integration with Identity and Access Management systems (i.e, Identity Managers or Identity Providers) which are SAML 2.0 compliant, such as NetIQ. This section is a step-by-step guide to the configuration you need to do, both in NetIQ and in Bizagi, to have an integrated authentication in Bizagi against NetIQ. SAML 2.0, requires that both your Identity Provider and your Bizagi project are set up to support HTTPS. 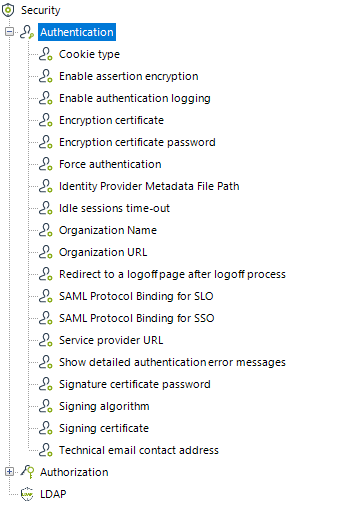 You need to be in charge of managing your installed certificates (keeping track of expiration dates and any other maintenance aspects such as responding to changes in your Identity Provider's endpoints). When integrating any Identity Manager you must synchronize user accounts that are authorized to access Bizagi's Work portal. Synchronizing means importing or updating only each account's primary identifier (domain plus username typically, and the email address). 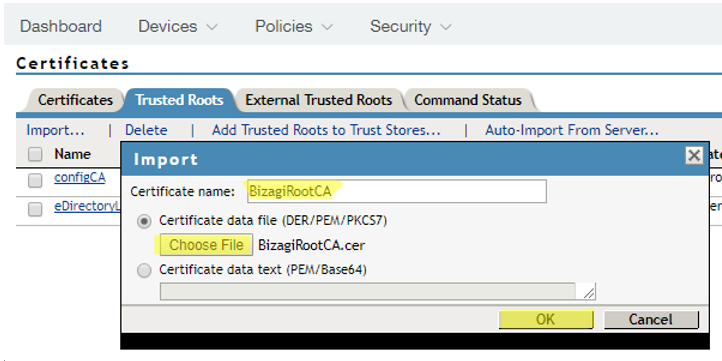 Bizagi does not store passwords when integrating with an Identity Manager. 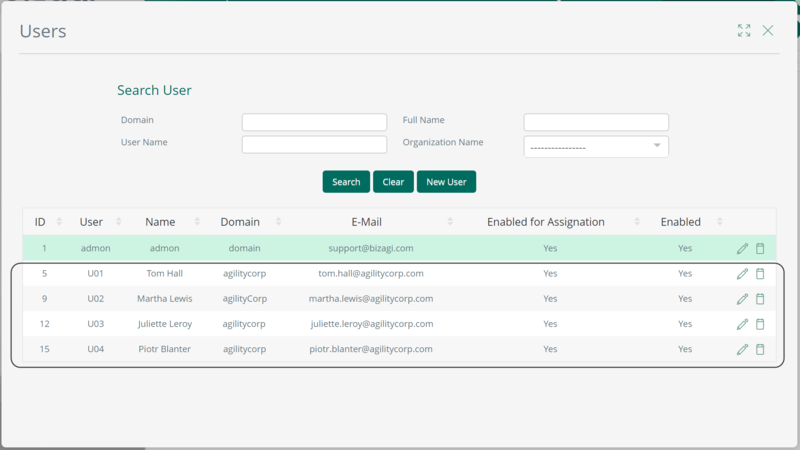 In Bizagi, unique identifiers for users are either email or the combination of domain and username. 3. An installed and fully configured and supported version of NetIQ. Bizagi supports NetIQ version 4. The following example (and official certification) is worked on with version 4.4. 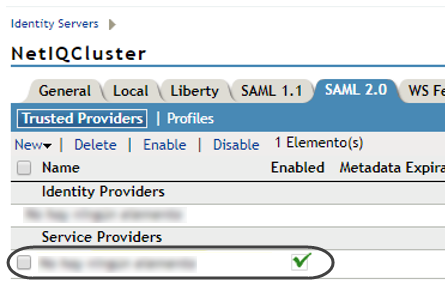 If you want to use a different version, which supports SAML 2.0, it is advisable to first check with our support team. 1. 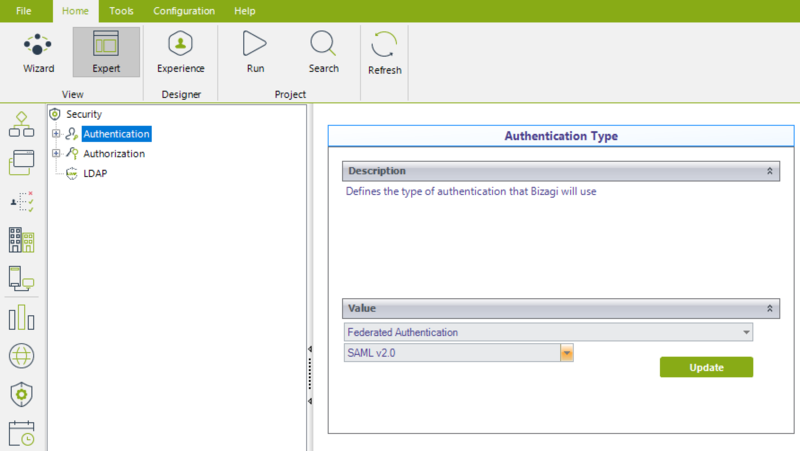 Configure in Bizagi, the settings that reference the specification of your SAML setup. 2. Configure Bizagi as Service Provider in NetIQ. Alternatively, and only for the Development environment, you may use Bizagi Studio. 1.1. Open the Bizagi Management Console and open your Bizagi project. 1.2. Locate the Security module and click the Authentication option found under the Security item. You will receive a confirmation message. Additional parameters appear under the Authentication item. If you applied this change into an environment other than development, apply the changes are applied in your Development environment as well. To do this, follow the same procedure you used in using the Bizagi Management Console. 1.3. Configure the additional parameters making sure to click Update for each one that you modify. Parameter values are case-sensitive. Make sure you enter them accurately. When you are done, review that your changes have been applied. Authentication changes may not be reflected immediately. You may need to reset the Bizagi services. Any change in the authentication type, or any of its settings, do not take effect until the cache of the application server is explicitly refreshed. 1.5. Browse for the location of a metadata file that Bizagi generates based on the previous configuration. To configure NetIQ through the next steps more easily, download the metadata file from Bizagi to a local directory so you can use it as input in NetIQ. You do this in the NetIQ admin options. 2.1. Log in to the NetIQ Access Manager. 2.2. From the menu select Devices -> Identity Servers -> <YOUR_SERVER>. Replace <YOUR_SERVER> with the name of your configured NetIQ server/cluster. 2.3. 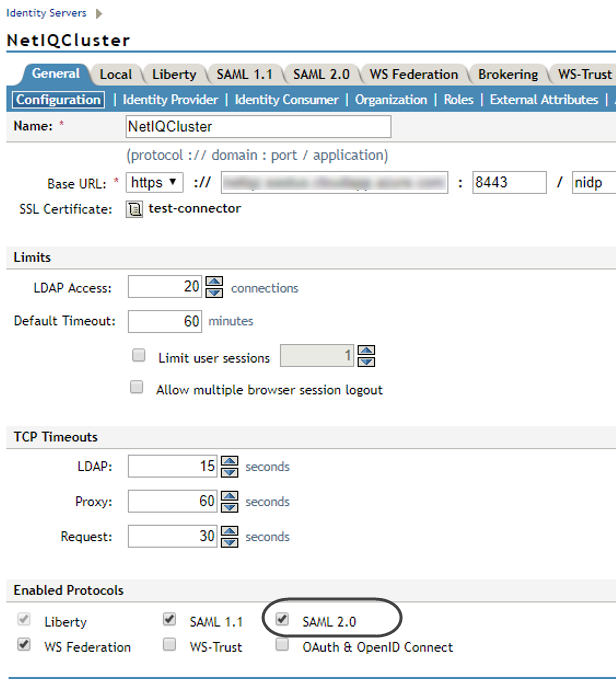 Enable the SAML 2.0 protocol for your NetIQ server (or servers/clusters). 2.4. 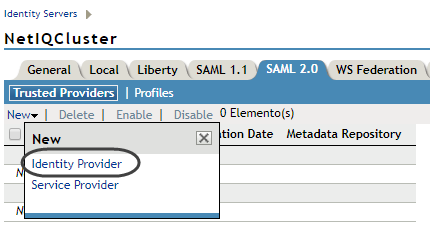 Click new on the enabled SAML 2.0 tab menu. •Name: Provide a unique identifier that is clear and describes the purpose of the service. Using Bizagi's URL is good. •Text: Paste the content of Bizagi's metadata.xml file as produced in step #1.
Review the certificate's details to make sure they are accurate (the metadata.xml file has the certificate employed by Bizagi). Then click Finish. 2.7. Locate the recently-added Service Provider (Bizagi), and click it. You can specify which information (attributes) is returned within a response (assertion). 2.8. Locate the Attributes tab. For its Attribute set, select Email. 2.9. In the Authentication Response tab, select POST for Binding. 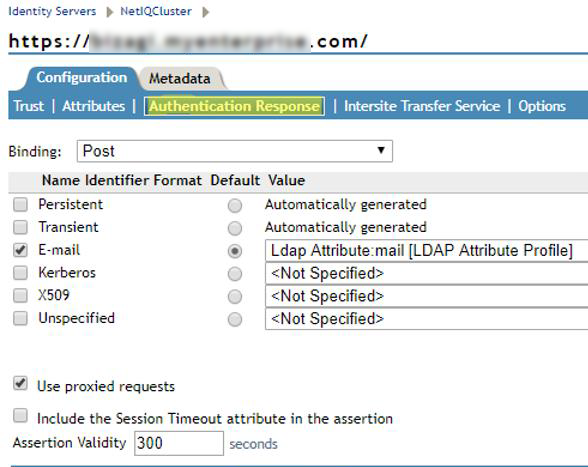 Check the Email checkbox and confirm that its Value shows the corresponding email attribute configuration you selected. 2.10. 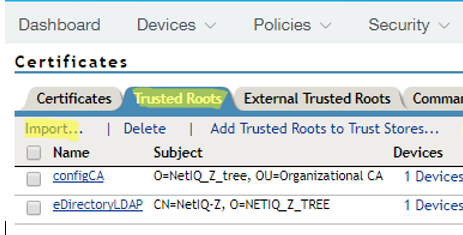 In the upper menu, select the Security -> Trusted Roots tab. 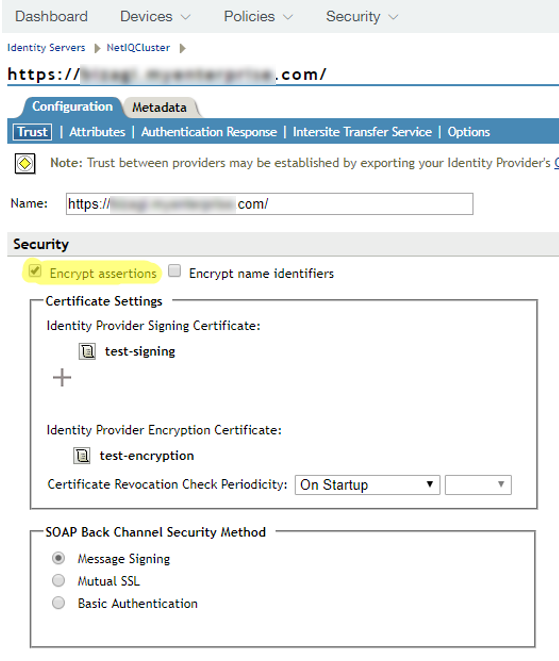 In that tab, import the certificate so that these are localizable at NetIQ's trusted key store. These steps are not always needed if you are not working with self-signed certificates. If this is you case, then you may skip or simply review steps 2.10 through 2.15. 2.15. Click OK when done. You may need to restart your NetIQ services. 2.16. In the upper menu, select Devices -> Identity servers -> <YOUR_SERVER>. You should replace <YOUR_SERVER> with the name of your configured NetIQ server/cluster. 2.17. 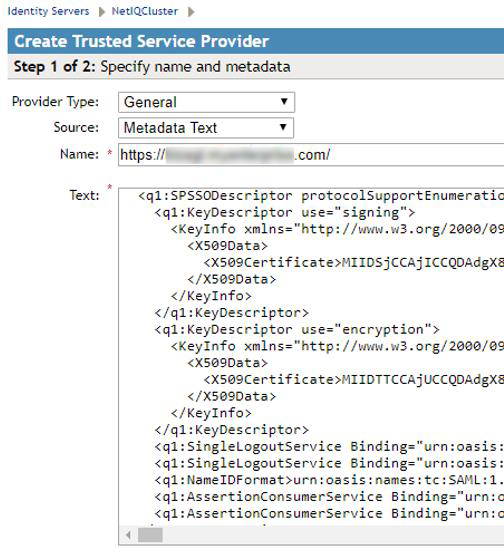 In the SAML 2.0 tab, check the Encrypt assertions checkbox to have NetIQ encrypt messages it sends to Bizagi. Do not check the Encrypt name identifiers checkbox. Save your changes and exit when done. 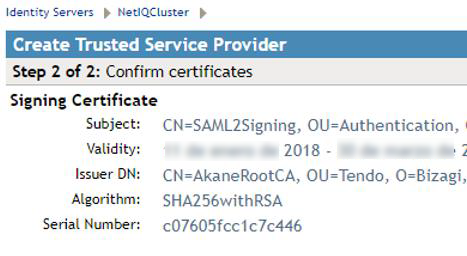 You have now configured your NetIQ to rely on SAML 2.0 for an integrated authentication with Bizagi!